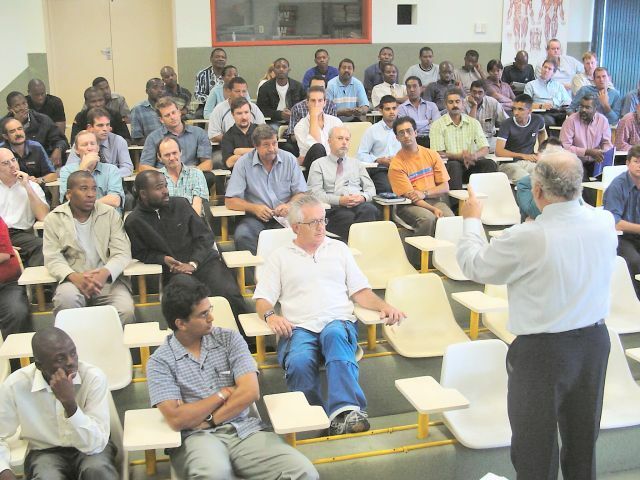 The Engineering Council of South Africa (ECSA) meeting planned for Thursday, 27 November 2003, took place. Members will be kept informed in due course via coordinated statements to be jointly issued by ECSA, CEASA and the Department of Health; all participants in the progress towards our Clinical Engineering Practitioners registration category. The University of Ottawa in Canada is conducting an international survey of Clinical Engineering Departments within hospitals. Many of our members have already received direct emails on the topic, however if you haven’t and would like to participate; the consent form and questionnaire itself are available from the hyperlinks provided, each will open in a new window. It is anticipated that this survey would not take more than an hour to complete. CEASA members have been invited by the Department of Biomedical Engineering, University of Malaya, Malaysia to the Kuala Lumpur International Conference on Biomedical Engineering 2004 (BioMed 2004) on September 2-4, 2004. For further details follow the hyperlink which will open in a new window. 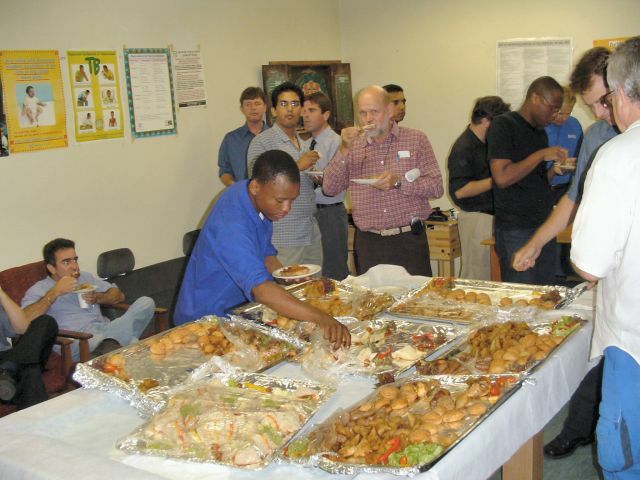 Indigenous Systems and Manta GEMS-IT will be co-sponsoring our year-end meeting and braai. There will also be some expenditure from our CEASA WC funds put towards this event, to be held on Thursday, 27 November 2003 at 16h30, at Karl Bremer Hospital. The CEASA WC Committee will be summarising the activities of the past year, providing feedback from the CEASA National Council meeting, discussing the status of ECSA registration thus far and inviting questions and suggestions for our future planning. The braai will follow the meeting. RSVP to James Herbert by the end of Monday, 17 November 2003. E-mail from the link provided, else fax (021) 886 6684. Prospective Members are welcome to attend. Click here for the full meeting notice, directions and agenda to open in a new window, these may then be printed or saved on your computer. If you have CEASA WC questions to be discussed, please forward these to James Herbert, thus allowing time for specific answer preparation, if so required. A CEASA KZN Committee meeting takes place. New membership applications are considered for processing. Philips Medical Systems will be sponsoring a Members’ meeting to be held on Tuesday, 4 November 2003 at 17h45, at Carstenhof Clinic. There will be two presentations. The first speaker will be Robert Elshove of Philips Medical Systems, whose presentation will be “Basic Cath Lab principles and developments in Cardiac X Ray imaging – A Technical perspective”; followed by Sharon Preddy of Netcare, whose presentation will be “Changes in Operating Room Practices”. Following the presentations, Paolo Boschetti will provide general CEASA feedback to members. RSVP to Phillip Wilmot by the end of Friday, 31 October 2003. E-mail from the link provided, else phone (011) 805 0162 / 083 701 9105 or fax (011) 805 9105. Prospective Members are welcome to attend. Click here for the full meeting notice, directions and agenda to open in a new window, these may then be printed or saved on your computer. A provisional date for the Free State Branch launch meeting has been set for 29 January 2004. For more information regarding the Free State Branch, contact Paolo Boschetti. Eastern Cape members temporarily attached to other existing branches have expressed an interest to form their own Eastern Cape Branch too. Would they and other prospective members in this province please contact Rob Dickinson. 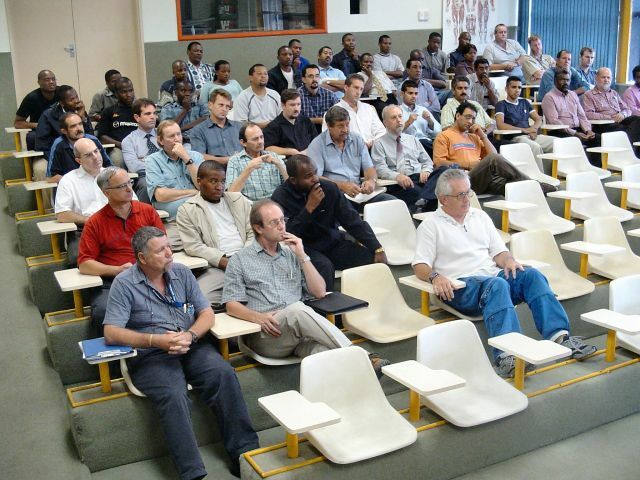 Friday 3 October 2003, the CEASA-GT Committee is re-organised and new members are announced. A Members meeting is planned for Tuesday, 4 November 2003, once finalised, details will be published on this page. New employment opportunities have been posted on the Employment page on this site. 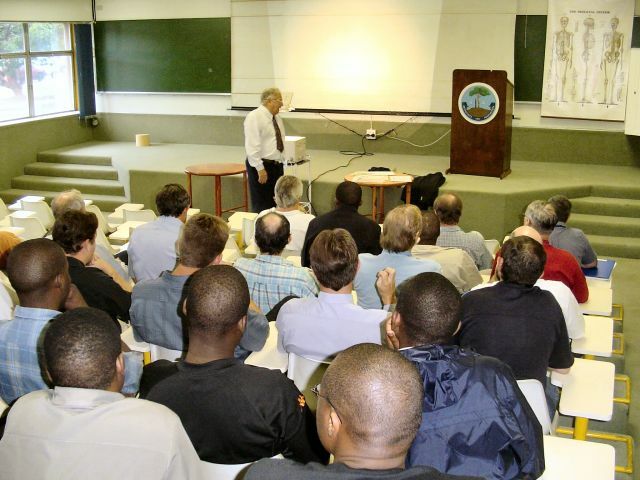 The Engineering Council of South Africa (ECSA) meeting planned for Tuesday, 4 November 2003 has been rescheduled for Thursday, 27 November 2003. 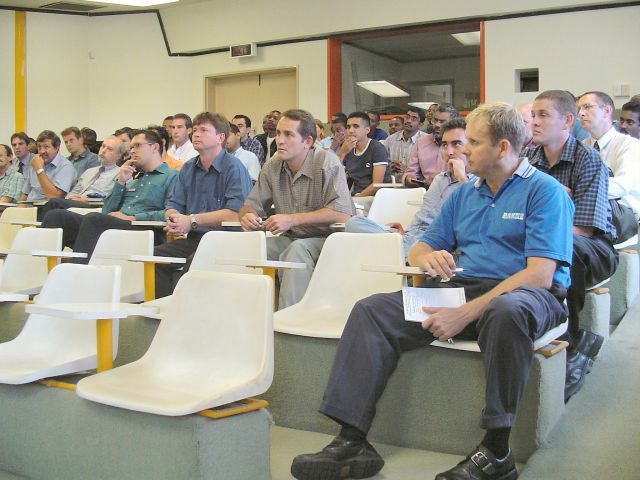 The Engineering Council of South Africa (ECSA) meeting planned for Tuesday, 14 October 2003 has been rescheduled for Tuesday, 4 November 2003. Member submissions may be posted here by end Friday, 31 October 2003. CEASA Council Members will attend an Engineering Council of South Africa (ECSA) meeting scheduled for Tuesday, 14 October 2003. Members have been invited to submit any written concerns or comments surrounding their registration with ECSA. Member submissions may also be posted here by end Friday, 10 October 2003. A CEASA National Council meeting takes place on Monday, 22 September 2003. Various administrative, planning and ECSA discussion points are addressed. Members will receive pertinent feedback via their local Committees. Johnson & Johnson will be sponsoring a Members’ meeting to be held on Tuesday, 16 September 2003 at 17h45, at Unitas Hospital. The speaker will be Leonie Reynecke, whom will be providing an overview of the Carto Heart Mapping System. The presentation will be in the Hospital Auditorium on the 4th Floor, thereafter followed by a CEASA-GT Committee Election. RSVP to Phillip Wilmot by the end of Friday, 12 September 2003. E-mail from the link provided, else phone (011) 805 0162 / 083 701 9105 or fax (011) 805 9105. Prospective Members are welcome to attend, but may not vote in the Election. Click here for the full meeting notice, directions and agenda to open in a new window, these may then be printed or saved on your computer. We are holding a Members’ meeting on Tuesday, 16 September 2003 at 16h30, at Koeberg Visitors Centre. The speaker will be Dave Nicholls (PBMR Manager). RSVP to James Herbert by the end of Monday, 8 September 2003. E-mail from the link provided, else fax (021) 886 6684. Click here for the full meeting notice to open in a new window, this may then be printed or saved on your computer. Prospective Members are welcome to attend. All attendees must remember to bring their Identity Documents with them! Wednesday 13 August 2003, a CEASA-GT Committee meeting takes place. The Committee plans for forthcoming activities, processes membership applications and prepares for a new Committee Election. 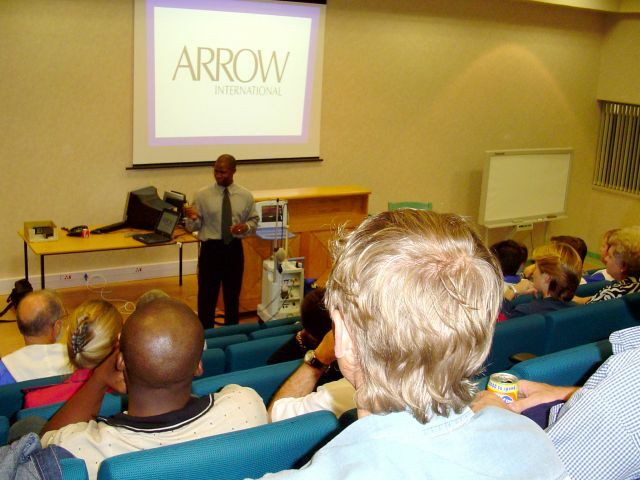 Arrow Africa will be sponsoring a Members’ Meeting to be held on Thursday, 4 September 2003 at 17h30, at Inkosi Albert Luthuli Central Hospital. 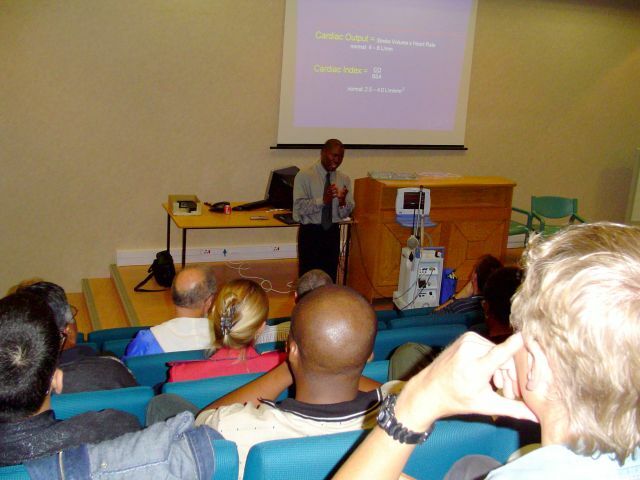 The speaker will be Bheki Gumede, whom will be providing an overview of Intra-Aortic Balloon Pumping. The presentation will be in the SIEMED Lecture rooms. RSVP to Rob Dickinson by the end of Tuesday, 2 September 2003. E-mail from the link provided. Prospective Members are welcome to attend. On Thursday 31 July 2003, the Engineering Council of South Africa (ECSA) approved the establishment of our new registration category: Clinical Engineering Practitioners. ECSA will be scheduling another meeting soon, in order to begin this work. 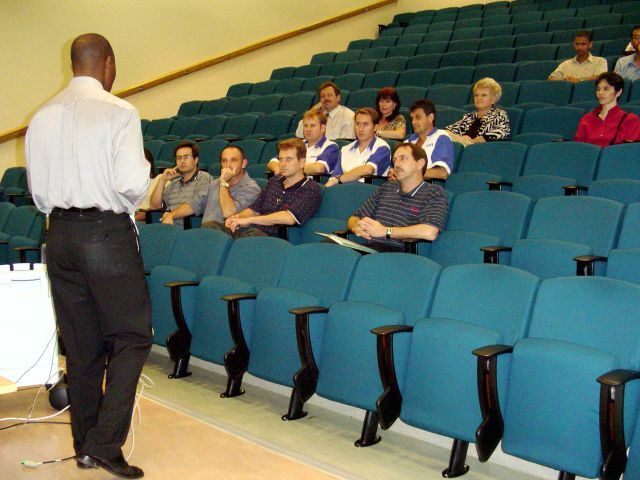 Thursday 31 July 2003, A CEASA WC Committee meeting takes place. Office Bearers are elected. The Committee plans for forthcoming activities. It is envisaged that a Members Meeting will take place on 16 September 2003 at Karl Bremer Hospital. Depending upon the availability of speakers, the topic could be on Disaster or Waste Management, to be sponsored by Indigenous Systems. An announcement will be made in due course. 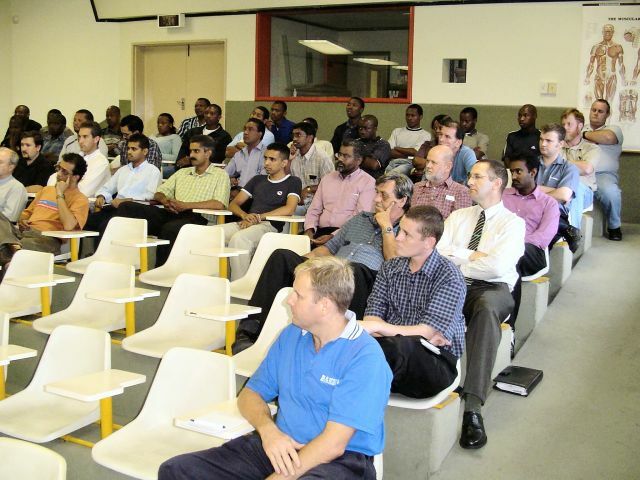 Tuesday 15 July 2003, A CEASA GT Members meeting takes place at Unitas Hospital. The speakers were Lynne Black of Netcare and Clive Daniel of Promed. 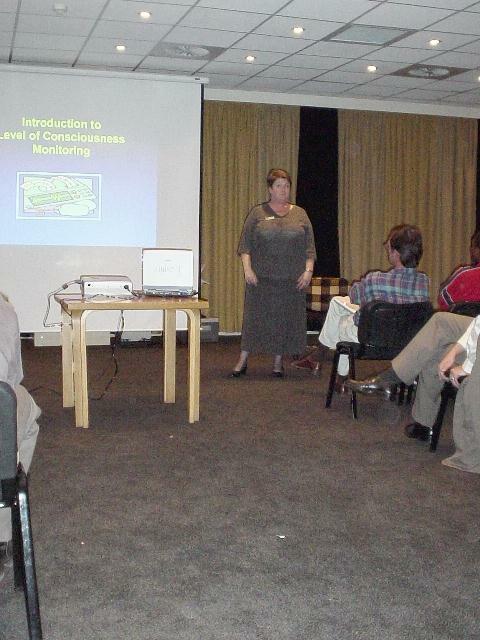 Lynne’s presentation was entitled “Level of Consciousness Monitoring”, Clive’s entitled “P.A.C.S. – from a Clinical Engineering perspective”. The presentations were followed by a CEASA feedback session and the evening was kindly sponsored by Promed. 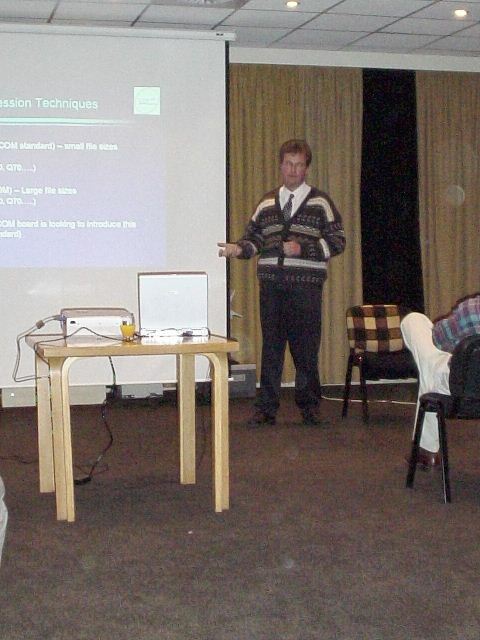 Wednesday 25 June 2003, A CEASA GT Committee meeting takes place. The Committee plans for forthcoming activities and processes membership applications. Rodger van der Bank is appointed as a Committee Member with the additional responsibility of web liaison for the Northern Sector/Gauteng Branch. 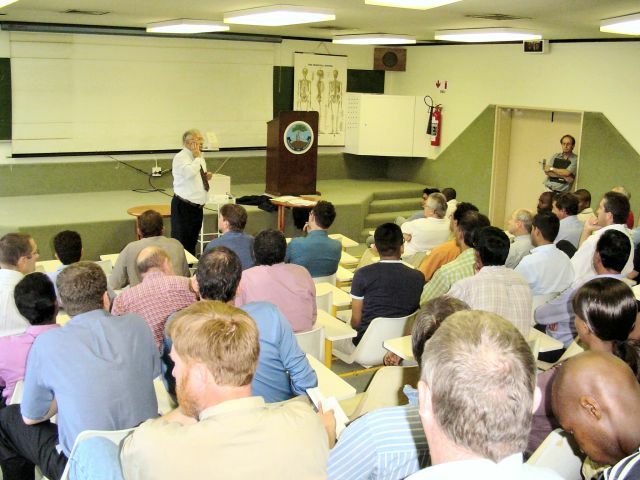 A Members’ Meeting is to be held on Wednesday 9 July 2003 at 18h00, in the St Augustine’s Hyperbaric Medicine Centre, situated at St Augustine’s Hospital. The speaker will be Daniel Gericke, whom will be providing an overview of the indications for treatment in the multi-place hyperbaric chamber; also explaining how its associated systems work. RSVP to Rob Dickinson by the end of Monday, 7 July 2003. E-mail from the link provided. Prospective Members are welcome to attend. 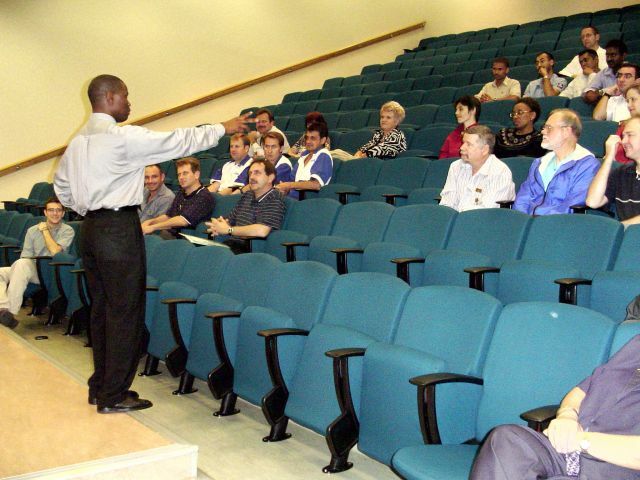 On Tuesday 10 June 2003, the CEASA Western Cape Branch Committee election takes place. The 11 person, 6 month Interim Committee is replaced with the new 7 person CEASA Western Cape Committee. The Committee comprises Aslam Clarke, Lihan Clausen, Dave Evans, Colin Henderson, James Herbert, Kobus Loubser and Hendrik Radyn. On 24 June 2003, office bearers will be decided, thereafter the Member List on this site will be updated. 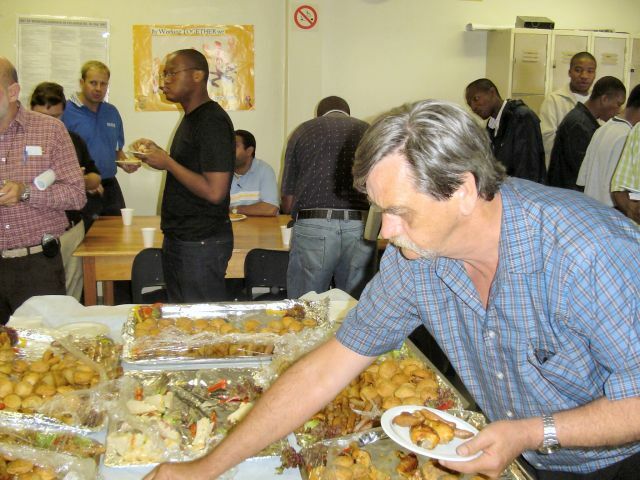 On Tuesday 10 June 2003, a CEASA Western Cape Branch Committee election takes place. The 11 person, 6 month Interim Committee is replaced with the new 7 person CEASA Western Cape Committee. CEASA has been approached to assist in the mutually co-operative placement of German Clinical Engineering Students into practical CE internship positions in South Africa. These high quality and responsible students would arrange their own fare to and from South Africa. Internship periods required are for a duration of 20 weeks (about 5 months) per student. Essentially the focus is upon finding quality local internship partners and seeking sponsorship for the students’ living expenses whilst in South Africa. Ideally some 40 – 50% of the internship should be within a hospital environment, the balance with a reputable company. Anyone whom can assist in any way with sponsorship packages or to partly assist in the way of assured internship, accommodation or the cost thereof, day to day out of pocket expenses, meals, transport or any other helpful facility to realise this important international co-operation objective, should contact either Rob Dickinson or Riaan van der Watt for further details. 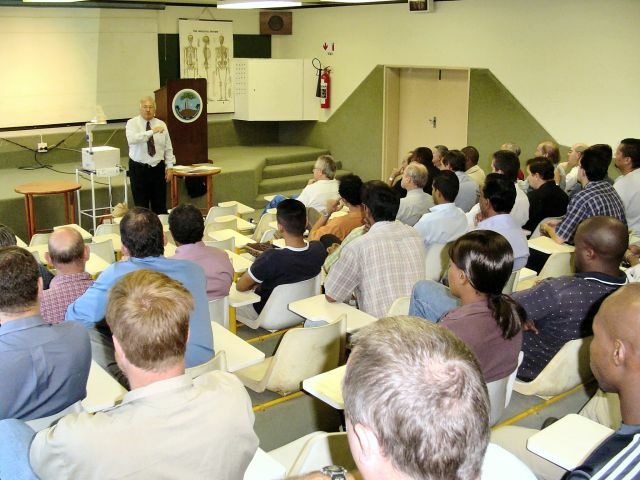 TECMED will be sponsoring a Members’ Meeting to be held on Tuesday, 10 June 2003 at 16h30, at Karl Bremer Hospital. The speaker will be Dennis Colis, presenting a paper entitled The Challenges and Solutions for Total Digital Radiology (Dicom-networking). The presentation will be in the Directorate Engineering Building. This will be followed by a short introduction to opportunities for local manufacturing of Medical Equipment by Dr. Peter Breytenbach from Acorn Technologies. Formal elections for the committee of the CEASA WC branch will take place after the talks. Click here for the full meeting notice, nomination form and election instructions. RSVP to James Herbert by the end of Friday, 6 June 2003. E-mail from the link provided, else telephone (021) 809 6549 or fax (021) 886 6684. Prospective Members are welcome to attend. 12 May 2003, A CEASA WC Interim Committee meeting takes place. The Committee plans for forthcoming activities and an election in June 2003 to install the final CEASA WC Committee. Thursday, 24 April 2003 A CEASA KZN Committee meeting takes place. New membership applications are considered for processing. A new Online Tools portal page has been added to this site, to facilitate quick reference searches. As more free and useful online tools for our members are found, they will be built into this page. 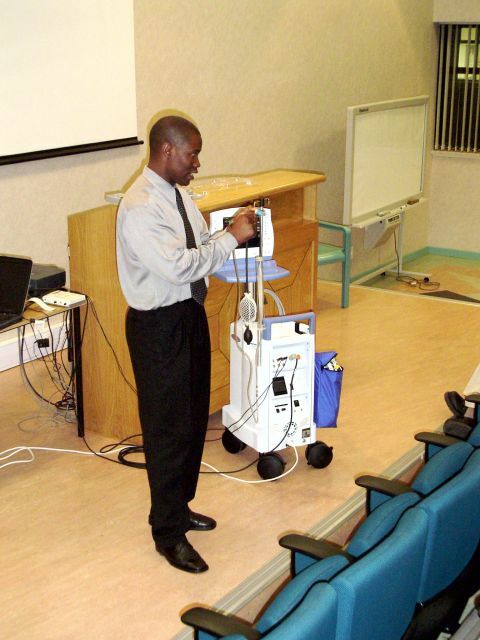 Medical Device Manufacturing in South Africa The Department of Health through its Health Technology Management branch has expressed a desire to communicate with the Healthcare Technology Industry on ways in which development of the Medical Device Manufacturing in South Africa can be stimulated. If you have any ideas or suggestions, please feel free to contact anyone of the committee members in your local CEASA branch, or contact Riaan van der Watt directly. All your suggestions will be collated and put forward when we have an opportunity to discuss this issue with the Department of Health later this year. A CEASA National Council meeting takes place on Thursday, 10 April 2003. Various administrative, planning and feedback points are discussed. Members will receive pertinent feedback via their local Committees and our websites. 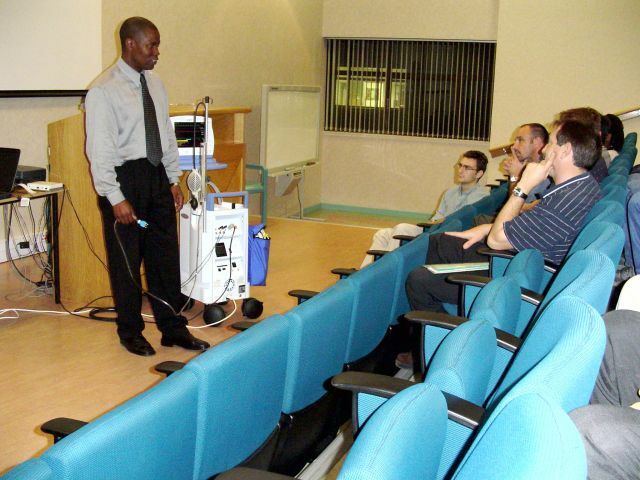 Vitalcare Technologies and Medical Repair Services will be sponsoring a Members’ meeting to be held on Wednesday, 9 April 2003 at 16h30, at Karl Bremer Hospital. The speaker will be Markus Marais from Philips Medical, whose presentation is entitled Bi-phasic Defibrillation. 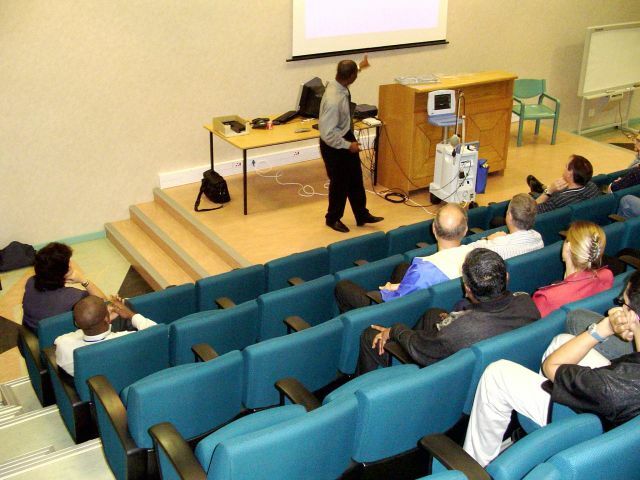 The presentation will be held in the Hospital Lecture Room, thereafter followed by a General CEASA WC Members Meeting. RSVP to James Herbert by the end of Thursday, 3 April 2003. E-mail from the link provided, else fax (021) 886 6684. Prospective Members are welcome to attend. Click here for the full meeting notice, directions and agenda to open in a new window, these may then be printed or saved on your computer. If you have CEASA WC questions to be discussed, please forward these to James Herbert, thus allowing time for specific answer preparation, if so required. Monday 10 March 2003, A CEASA WC Interim Committee meeting takes place. The Committee plans for forthcoming activities and an election in June 2003 to install the final CEASA WC Committee. Prospective members must note that in order to be eligible to vote in this election, or to stand for office, they must apply for CEASA membership without delay. 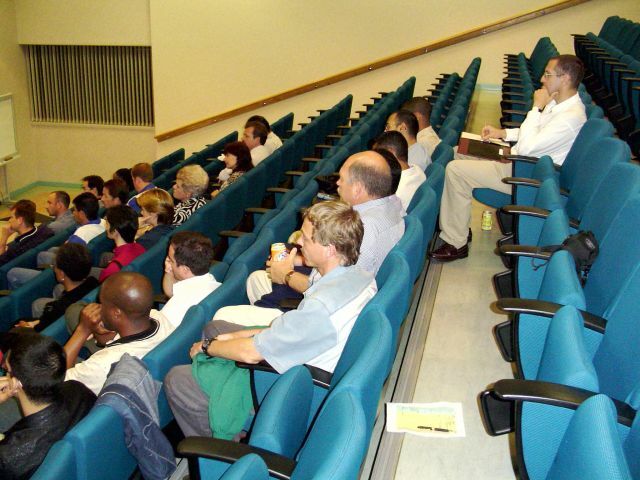 Medhold will be sponsoring a Members’ Meeting to be held on Wednesday 12 March 2003 at 17h30, at Westville Hospital. The speaker will be Nigel Baxter, whom will be providing an overview and demonstration of the new Datex-Ohmeda Aespire Anaesthesia System. The presentation will be followed by a CEASA-KZN members’ general discussion meeting for members to tell us what they want from their Association. RSVP to Rob Dickinson by the end of Monday, 10 March 2003. E-mail from the link provided. Prospective Members are welcome to attend. Would all attendees please meet at the Hideaway by 17h30. Due to unforeseen circumstances beyond his control, Kevin Prescott of RS Components will not be able to make his presentation as advised earlier. A new guest speaker will be announced later today. Numerous new CEASA WC membership applications have been received and are being processed. The CEASA Family continues to grow. The pace of Branch activities has increased and a large number of online applications have been received. RS Components will be sponsoring a Members’ Meeting to be held on Wednesday 12 March 2003 at 17h30, at Westville Hospital. 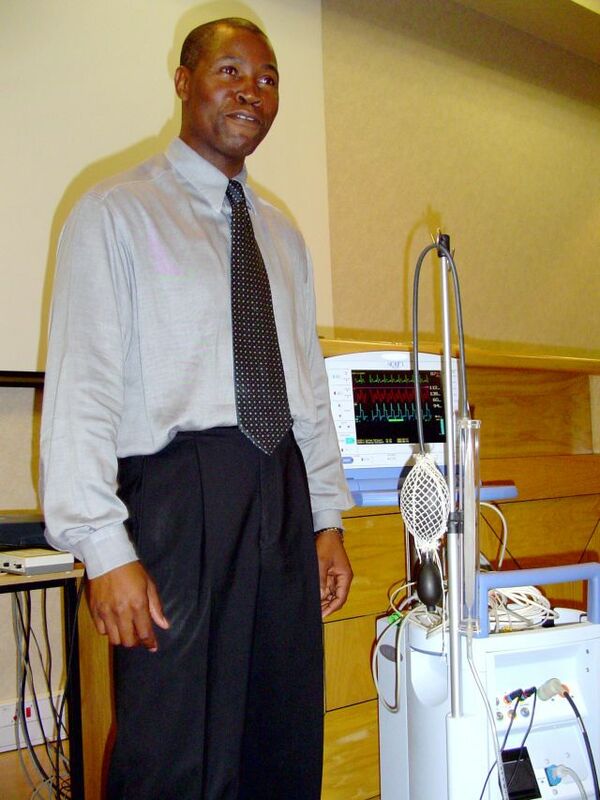 The speaker will be Kevin Prescott, whom will be providing an overview of electronic test equipment and its usage. The presentation will be in the Hideaway Restaurant, followed by a CEASA-KZN members’ general discussion meeting for members to tell us what they want from their Association. 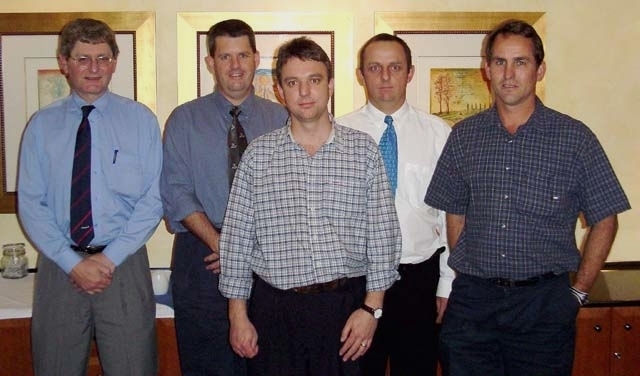 Friday 7 February 2003, A CEASA GT Committee meeting takes place. The Committee plans for forthcoming activities and quantifies membership survey responses. All respondents felt that active participation in CEASA is very important to them. Training, technical talks / technology updates and product information was viewed by all respondents as being of greatest importance to them. In so far as specialty talks were concerned, respondents also wanted to have more medical practitioners address them on clinical issues. The employment opportunities factor was by far the least important of all factors in respondents’ returns. Respondents had many good ideas such as website advertising and an interactive member forum on this, all these issues are currently planned for our common national web. A CEASA KZN Committee meeting takes place. Plans for 2003 activity are tabled. New membership applications are considered for processing. Members are to please note that as of January 2003, membership fees have been set at R 120-00 per annum. 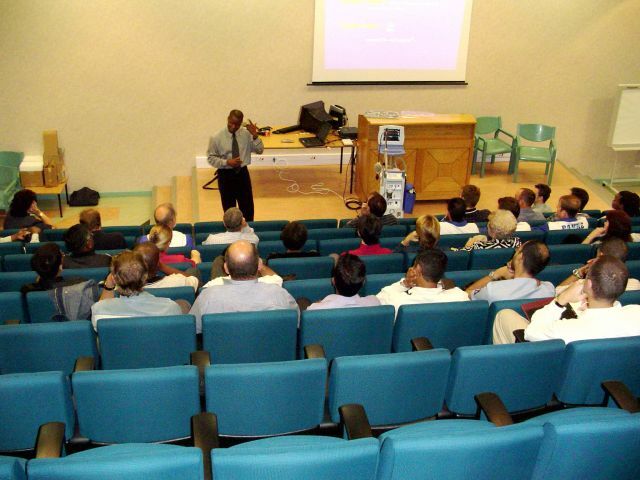 Netcare will be sponsoring a Members’ meeting to be held on Tuesday, 28 January 2003 at 17h45, at Unitas Hospital. The speaker will be Nell Brown, whose presentation is entitled Medico-Legal Issues in Clinical Engineering. The presentation will be in the Hospital Auditorium on the 4th Floor, thereafter followed by a General CEASA-GT Members Meeting. RSVP to Phillip Wilmot by the end of Monday, 27 January 2003. E-mail from the link provided, else phone (011) 805 0162 / 083 701 9105 or fax (011) 805 9105. Prospective Members are welcome to attend. Click here for the full meeting notice, directions and agenda to open in a new window, these may then be printed or saved on your computer. Eureka Medical and Alltech Medical Services will be sponsoring a Members’ meeting to be held on Wednesday, 19 February 2003 at 16h30, at Karl Bremer Hospital. The speaker will be Dr. Otto Thaning, whose presentation is entitled The History of Cardio Thoracic Surgery and where it is going. The presentation will be in the Hospital Lecture Room, thereafter followed by a General CEASA WC Members Meeting. RSVP to Paul Fouche by the end of Monday, 10 February 2003. E-mail from the link provided, else fax (021) 557 7166. Prospective Members are welcome to attend. Click here for the full meeting notice, directions and agenda to open in a new window, these may then be printed or saved on your computer. If you have CEASA WC questions to be discussed, please forward these to James Herbert, thus allowing time for specific answer preparation, if so required. A CEASA WC Interim Committee meeting takes place. Membership applications are processed. The Committee plans for a Members meeting. It was with much sorrow that we learned of the passing away of our much esteemed CEASA KZN member and colleague Boet Oosthuizen. 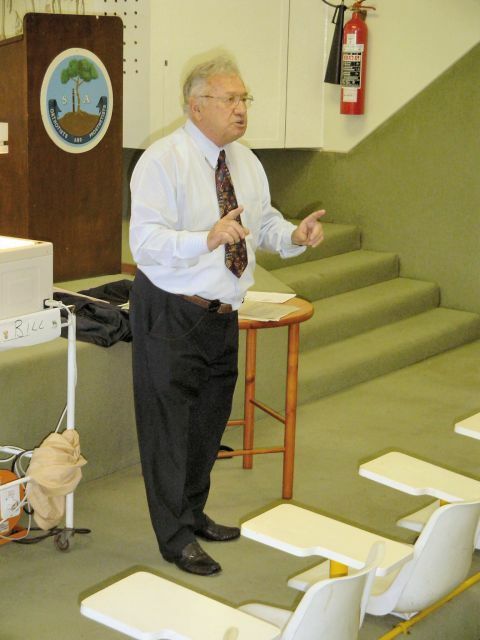 Boet was a true gentleman of extreme morals and values. Boet’s family meant the world to him and he was particularly looking forward to an active retirement, cycling and enjoying his other outdoor and recreational activities with them. We offer our sincere condolences to Boet’s family and can assure them that both Boet’s immediate work colleagues and his extended CEASA family will always be around to lend them a helping hand in any way possible. We will all be missing Boet very much. A CEASA-GT Committee meeting takes place. The Committee plans for Members meetings and a membership survey.